Squamish is one of Canada’s most important climbing areas and the Smoke Bluffs rock climbing lies at the centre of this spectacular region. 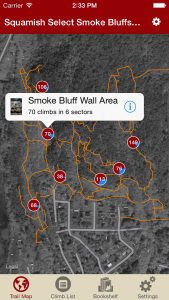 Over 600 single pitch climbs are scattered throughout the Bluffs, all within walking distance of the city’s downtown core. The crystalline granite is perfectly suited for rock climbing and the crags boast plenty of smooth face climbs and all sizes of cracks, an ideal venue in which to broaden your repertoire. 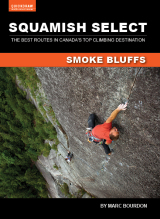 This app guide is based on our popular print book, Squamish Select, but contains more current route information. 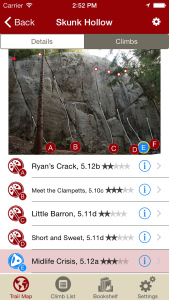 Inside you’ll find all the popular cliffs along with many new and less-travelled areas. 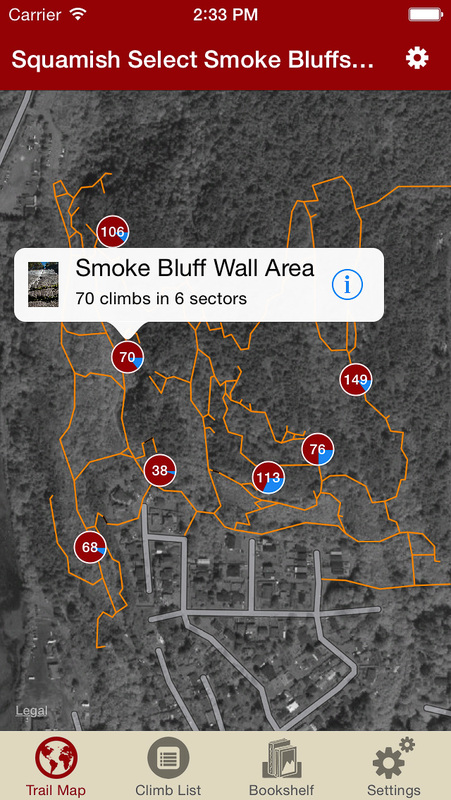 Learn more about Smoke Bluffs rock climbing here. 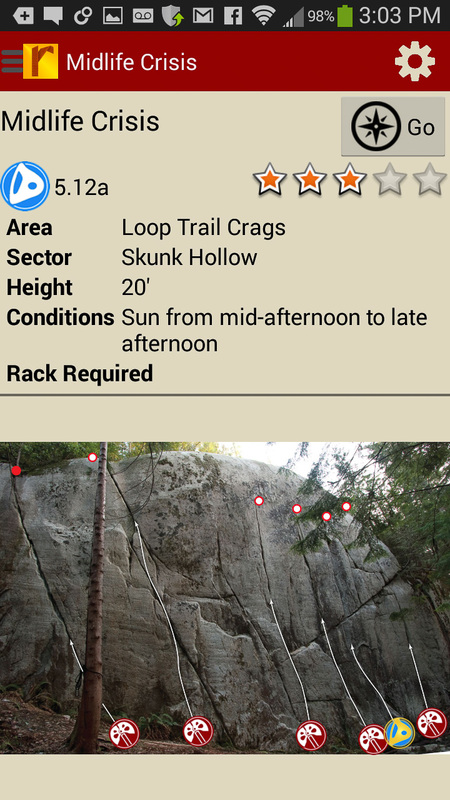 Explore Squamish Smoke Bluffs rock climbs like they are meant to be explored via our interactive trail map. 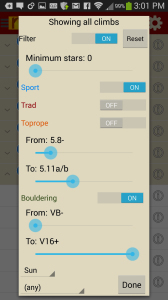 Like a local who’s been there and done that, rakkup guides you turn by turn to your rock climb. 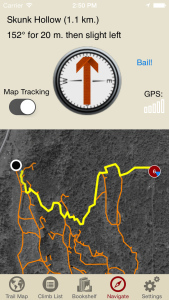 Tap on a climb to see where it’s located in the image, or tap on a bubble in the image to see what climb it is. 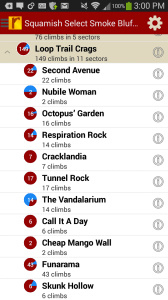 Explore Squamish Smoke Bluffs rock climbs from a hierarchical list that can be filtered. 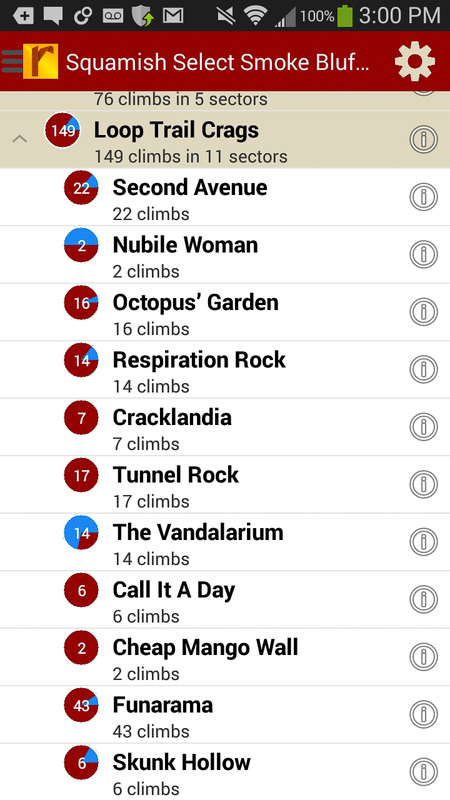 Filter your climb list or trail map by grade, quality and sun/shade times. How cool is this? Tired of bad beta? 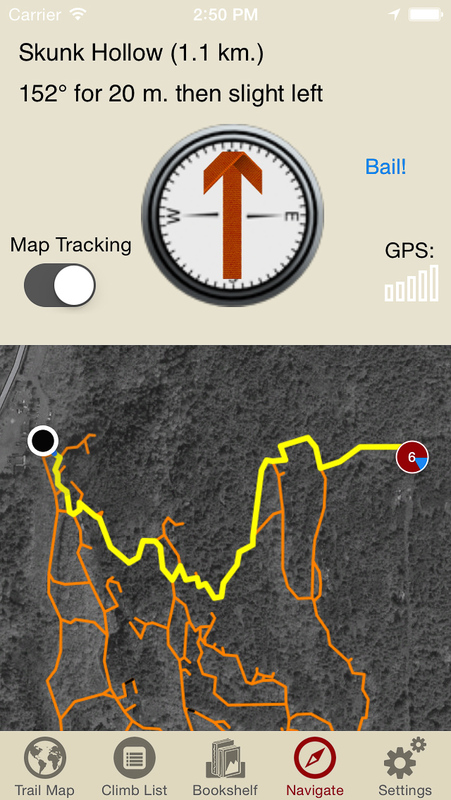 Use local expert Marc Bourdon’s beta to get to and send your next Squamish project.